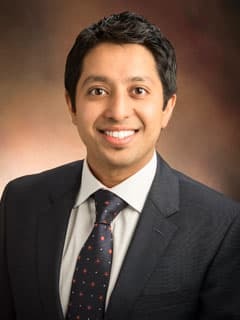 Arunjot Singh, MD, MPH, is an attending physician in the General Diagnostic Gastroenterology (GI) Program at Children's Hospital of Philadelphia. Sattar A, Bierly P, Verma R, Fahey L, Hlywiak K, Feigenbaum K, Singh A. Evolution of Body Mass Index and Obesity in Children with Celiac Disease. North American Society of Pediatric Gastroenterology, Hepatology and Nutrition Annual Meeting, October 2018. Singh A, Borlack R, Green P, Reilly N: “Comparing the Therapeutic Response in Eosinophilic Esophagitis between Children with and without Celiac Disease.” North American Society of Pediatric Gastroenterology, Hepatology and Nutrition Annual Meeting, November 2017. Singh A, Do C, Bhagat G, Green P, Lavine J, Tycko B: A Combined Genetic-Epigenetic Strategy for Identifying Celiac Disease Susceptibility Loci, Poster Presentation. World Congress of Pediatric Gastroenterology, Hepatology and Nutrition Poster Presentation October 2016. Singh A, Picoraro J, Jain P, Demirdag Y, Martinez M, Khlevner J: “Spectrum of Immunodeficiency in Gastrointestinal Atresia and TTC7a Mutation” North American Society of Pediatric Gastroenterology, Hepatology and Nutrition Annual Meeting Poster Presentation October 2015.